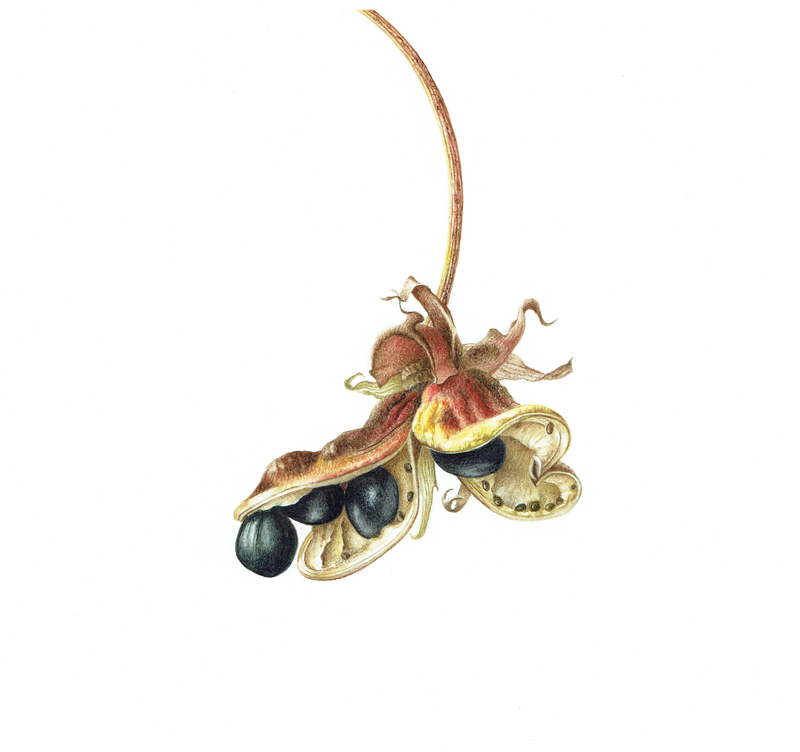 Lizzie Sanders has been producing botanical paintings for some thirty years. Her work is botanically accurate, painted meticulously in watercolour, using a dry brush technique. She aims to produce contemporary ‘graphic’ images where neither art nor science is compromised and is particularly interested in the tension created by presenting an image which reads as truly three-dimensional against a stark, flat, white background.